Soon after Kodak Inc announced that the firm had filed for Chapter 11 bankruptcy protection, this article written by a former banker & economist was published in StarBizWeek dated 11 February 2012. I read the article with great interest & wonder how soon the company I work for will fall victim to similar predicament due to complacency & pure stubbornness. 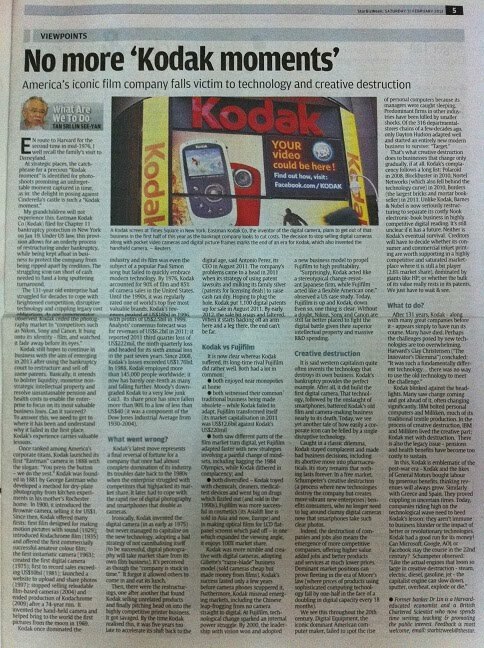 Worse still, we were not known for any breakthrough inventions/innovations which would result in creative destruction.